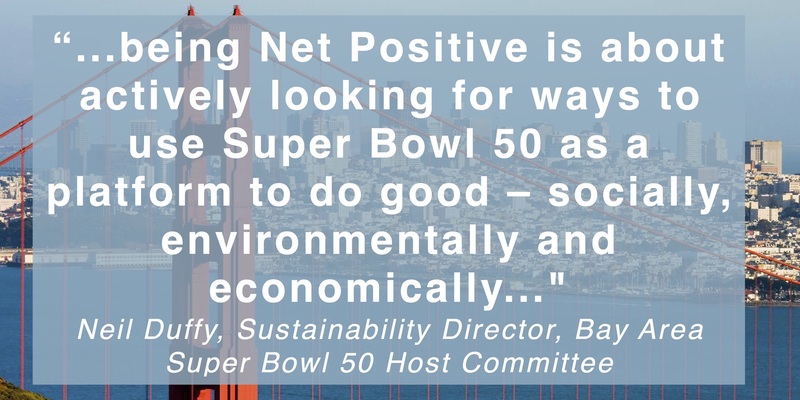 The San Francisco Bay Area Super Bowl 50 Host Committee set a goal to make this year’s event the most healthy, sustainable, shared, and socially responsible Super Bowl ever. Together with The 50 Fund – the signature philanthropic initiative of Super Bowl 50 – the Super Bowl 50 Host Committee has made a commitment to deliver a ‘net positive’ event and is inviting the public to play its part by pledging to perform sustainable actions, such as properly recycling waste, carrying a reusable water bottle or taking public transit. Once they have taken the pledge, fans are invited to help decide how over $200,000 is awarded to Bay-area environmental nonprofits. The incentive for participating? A chance to win a pair of Super Bowl 50 tickets. Agencies In/PACT and Citizen Group were partners in creating the consumer-facing ‘Play Your Part’ initiative.